Station which is on the north end of Colma or exit at the South San Francisco BART Station for access to the southern end of Colma. 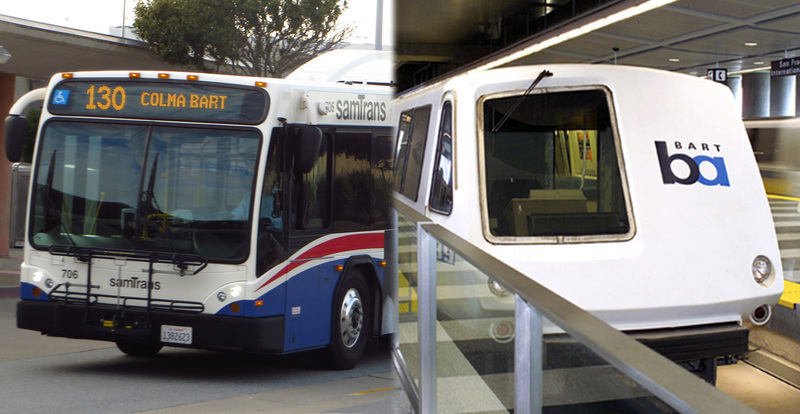 Both stations provide access to Sam Trans which provides access to to local businesses, shops and services along El Camino Real and Junipero Serra Blvd. Please visit BART for train schedules, fares, maps, and routes. Please visit Sam Trans for bus schedules, fares, maps and routes. For Safety Tips on how to ride Public Transportation, please select the icon below.